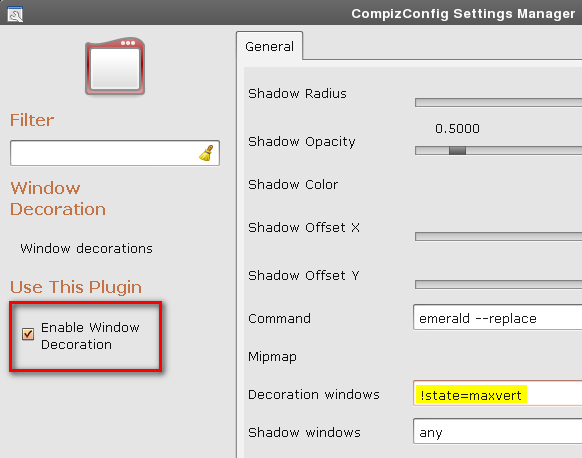 Compiz leaves window decorator when the windows are maximized. Not the answer you're looking for? Browse other questions tagged compiz unity-2d or ask your own question. How do I eliminate the extra title bar? Can we use the window snap feature to fit a window to half the screen in Unity 2D?